In 2011 Pennsylvania social worker and filmmaker Tracy Schott got a phone call from a distraught friend whose pregnant niece had been murdered by her boyfriend. Schott’s friend was upset about how the media portrayed Jennifer Snyder, who had become pregnant by a married man who told Snyder he was separated and about to divorce. He even attended family functions with Snyder. Schott, MSW, had run a private practice where she worked with women who had experienced childhood and adult domestic and sexual abuse. “I was blown away there were several studies out there that said homicide was the leading cause of death during pregnancy,” Schott said. Schott is raising funds to do final editing of the film so that it can be released publicly. If you would like to watch a trailer of the film and learn more about the fund-raising campaign visit the “Finding Jenn’s Voice” Seed & Spark website. In fact, there have been several highly publicized cases of men murdering or conspiring to kill their pregnant wives or girlfriends, including Scott Peterson in California in 2002 and Carolina Panthers football wide receiver Rae Carruth in 1999. 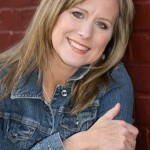 Filmmaker Tracy Schott, MSW. Photo courtesy of Schott. 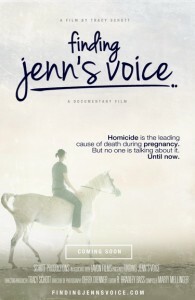 The phone call inspired Schott to do the 90-minute film “Finding Jenn’s Voice” to honor the Snyder’s memory and interview survivors of other victims and leading experts on murders of women during pregnancy. She is now raising funds to do final editing on the film before it is released to the public, and is asking the social work community to get involved. “It’s been quite the journey,” said Schott, who has been working on the project for three years. To learn more about how social workers help victims of domestic violence visit the National Association of Social Workers’ “Help Starts Here” consumer website or read the NASW publication “The Ultimate Betrayal: A Renewed Look at Intimate Partner Violence” by Tricia Bent-Goodley, Phd, LCSW-C.